Plucks Gutter has the ring of an author’s invention from a novel of the Dickensian era, but it isn’t, it exists in a picturesque corner of the Kent countryside close to the village of Stourmouth, just a few miles north west of Sandwich. 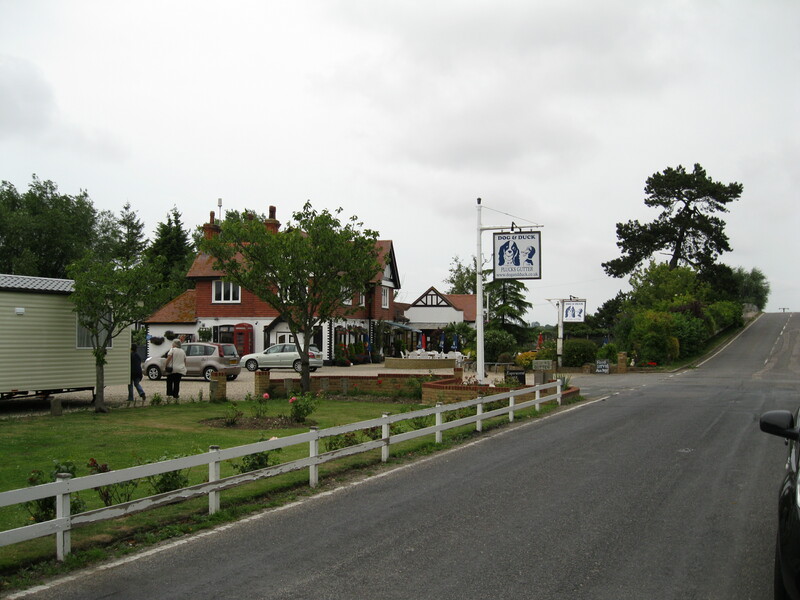 It boasts an attractive public house known by an equally appealing name ‘The Dog and Duck’. In his novel Deadliest Deal the author has placed a fictitious derelict farm, Statenborough Manor Farm, where cunning and outrageous events are secretly prepared and set in motion; but they are not as secret as the planners intend. 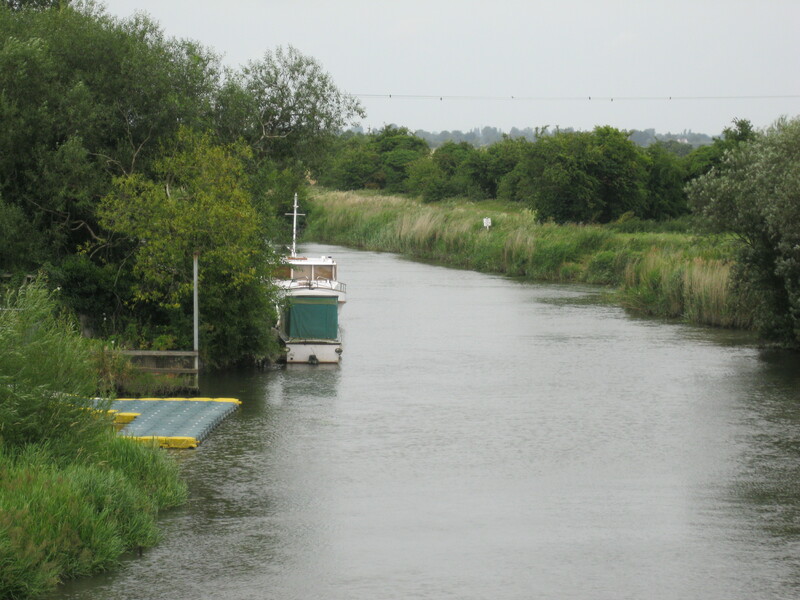 The river Stour borders the farm and is an important conduit for both the criminal activities and police intervention; will it become so overcrowded by their opposing capers and turn red with blood? 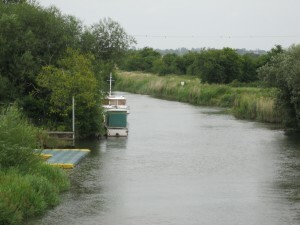 “Before leaving Plucks Gutter, Paul and Norman stood on the B2046 road bridge which crossed the river Stour, only 100 feet wide at that point at high tide.At low tide it was just 40 feet wide and would have made it impossible, due to the heavy, sticky, silt mud, to use the jetty to unload heavy objects because the boats would have been 10 –12ft below the jetty deck level.Stepladders facilitated access to and from the boats at low tide, but unloading heavy objects was clearly a high tide pursuit. Like a couple of tourists they took photographs using a Nikon zoom lens to get close-ups of all the jetties, including Statenborough’s, which was 300 yards away and across a bend, whilst giving the impression of photographing each other and the scenery.They used the same strategy to get some pictures of the Statenborough farm buildings, or as much as were visible; the land was completely overgrown.It hadn’t been cultivated or grazed for 20+ years.The farmhouse and outbuildings were almost invisible amid the wilderness of trees and overgrown shrubbery in the foreground.The one sign of renewed activity on the farm was the rebuilt jetty.